They must start fresh. Serendipitously, the night before 9/11, Phil attended a presentation that promised a lifestyle change. Of course, he could never have known change was imminent, but now,, he and his wife seek life elsewhere, in Great Barrington, Massachusetts. There, they discover a Victorian retreat and resort in desperate need of update. Together, they create the Grand Lady Victorian Mansion: a place of beauty and peace with an event barn, an equestrian school, a ski lodge, and an adjacent organic farm. Phil and Cathy find a new start amidst the wreckage of their lives, and in so doing, discover new friends—who may need rebuilding themselves. Please post comments on Amazon.com and on my website, and rate my books with five stars to help others who will read your comments to discover my books. Enjoy the read! 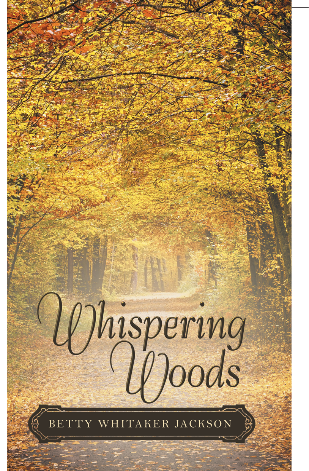 Note: The sequel to Whispering Woods will be available in the fall of 2015. I’ll announce its arrival on this website, Facebook, Twitter, Amazon.com, Barnes & Noble, and Pinterest. Once you begin the series, you’ll want to see what happens to your favorite characters.